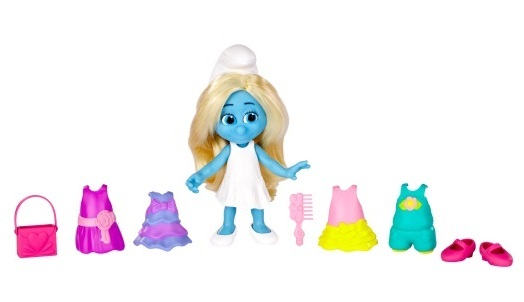 I ♥ Motherhood: New Smurfs Toy Range! When I was younger I was a big fan of The Smurfs, if I remember rightly it was on TV on a Sunday morning and I’d watch it while my Mum and Dad were still trying to squeeze the last few minutes out of lying in bed before I came and bothered them to wake up (now I know how that feels)! I loved all the characters, particularly Smurfette and loved feeling scared by Gargamel, I also had a soft spot for Azreal the cat. Last Sunday while I was on a girlie weekend, OH took Isla to a special screening of Smurfs 2 and to take a look at the new Jakks’ Smurf Toy range. They had a really lovely time. Isla had decided to take her Shaun the Sheep rucksack with her and on entry to the cinema this was given intense scrutiny by the Smurfy people, they’re not keen on sheep apparently! We haven’t seen the first Smurfs movie and Isla has only seen the Smurfs cartoon a handful of times but I think that there is something about these little blue characters that is immediately appealing to kids. 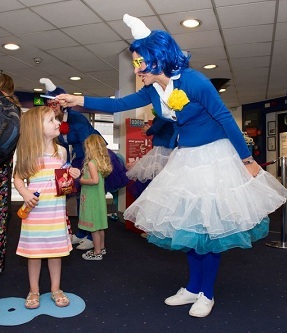 And I predicted that Isla would love Smurfette which of course she did. OH said that she was a little scared of Gargamel, but not to an extreme and I think she is like a lot of kids in that they like being a little bit scared – that is part of the fun afterall! After they watched the film, they took a look at all the new toy range. I made a big error in not sending her in Smurf fancy dress as apparently there were prizes for the best turned out Smurfs. She was very happy with the little Smurfette figurine she was given though and they are available as part of the range as Grab ‘em Single Packs including some of the other characters from the film. 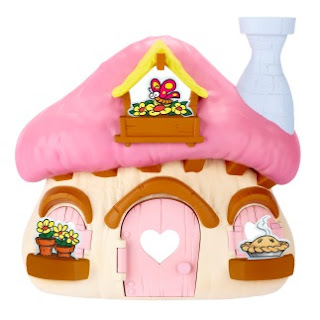 I think she would also love this little Mushroom House Play Set (including Smurfette) and this Smurfette Fashion Doll which comes with a mix of outfits that you can snap on and off and add accessories. She also has style-able hair! We were invited to this special screening which was free of charge and the kids got a goodie bag each.